Electric vehicles still make up a small percentage of the cars on Hawai‘i’s roads — although they are growing. 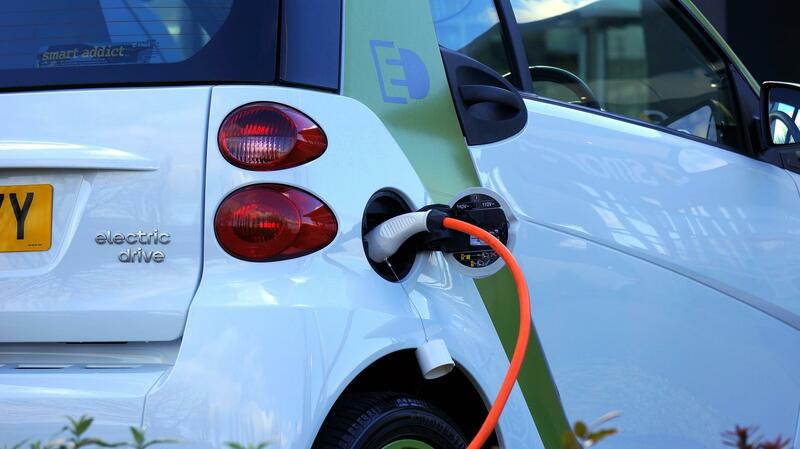 And according to a recent report by the credit agency Experian, Honolulu is among the top ten markets in the country for electric cars. But when it comes to batteries for electric vehicles, that part of the story comes from Asia. Four companies have nearly two-thirds of the global market — and they’re all based in Asia. That’s according to a recent report by SNE Research. A Chinese company tops the list — Contemporary Amperex Technology — or CATL. The company was founded just eight years ago, and has nearly 22-percent of the global market. Close behind is Panasonic with nearly the same market share. The Japanese company is the exclusive supplier of lithium ion batteries found in Tesla electric vehicles. Another Chinese company is number three – although it’s best-known in some circles for an ownership stake belonging to a famous American investor. Back in 2008, Warren Buffet’s holding company Berkshire Hathaway invested about a quarter of a billion dollars into a maker of mobile phone batteries. Today, the company BYD focuses on electric vehicles — the stock has appreciated about 500-percent since Buffet’s initial investment, and the company is now his largest stock holding outside the United States. South Korea’s LG Chem is the fourth leading battery maker for electric vehicles with about 7.5 percent of the global market. Asia’s dominance of the business is widely recognized. Late last year, Germany’s government set up a billion dollar fund to support the domestic production of battery cells. Air pollution has been an increasing problem for nearly two months in Thailand’s capital. Conditions have become so bad that public schools closed for more than a week, and top government officials were summoned to court to testify about it. President Trump covered a lot of ground in his State of the Union address this week — including trade issues with China. A U.S. delegation is heading to China next week for another round of talks, but a tariff deadline is fast approaching. During his State of the Union address last night, President Trump announced he’ll be meeting with North Korean leader Kim Jong Un in Vietnam at the end of the month. In another regional development, the United States and South Korea have apparently reached a deal on financing U.S. troops on the Korean peninsula.